Mailbox plan is a similar to hosting plan. It's a set of quotas, but only for Hosted Exchange. 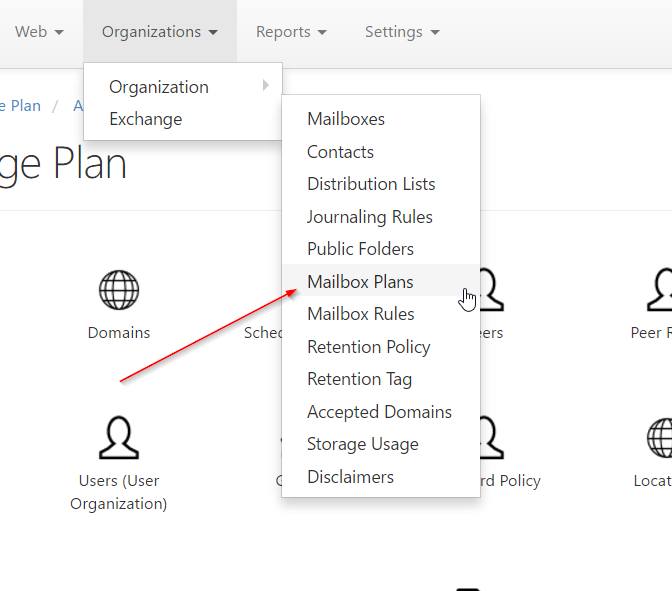 Mailbox plan is used as a template for creating customer mailboxes. 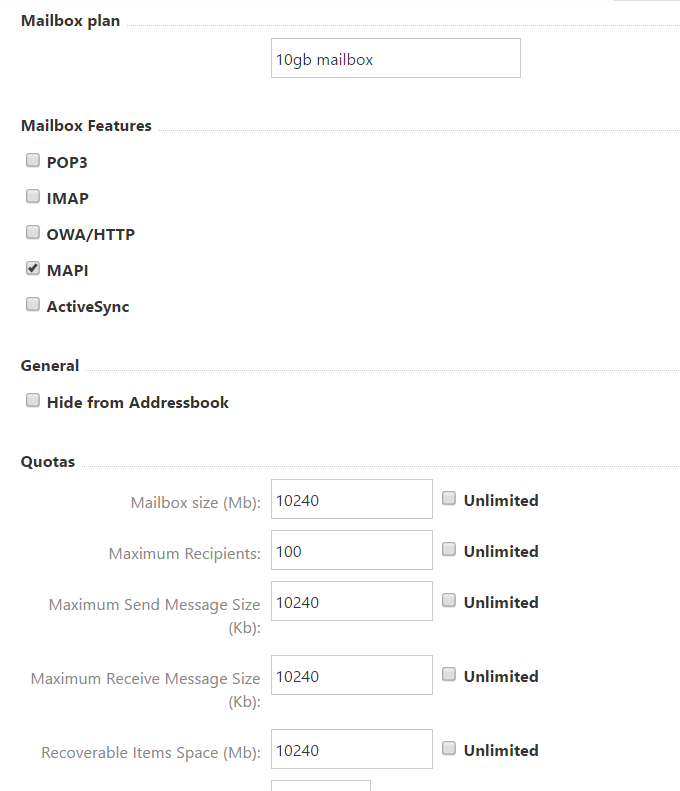 You can create mailbox using some mailbox plan and then apply other mailbox plan with other quotas in future, for example if it needs to be changed from 10GB limit to 20GB. Note: your mailbox plan should have same or less quotas as your hosting plan. For example, if hosting plan allows you to have 10 maximum recipients, but you choose more than 10 in mailbox plan, then mailbox creation based on this plan will fail due to exceeded quota. There are 2 options for Mailbox plan creation. 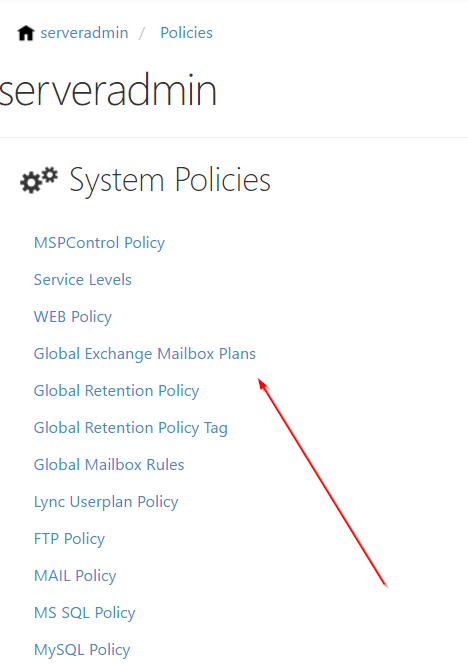 Type a name for Global Mailbox plan, for example 10gb mailbox. 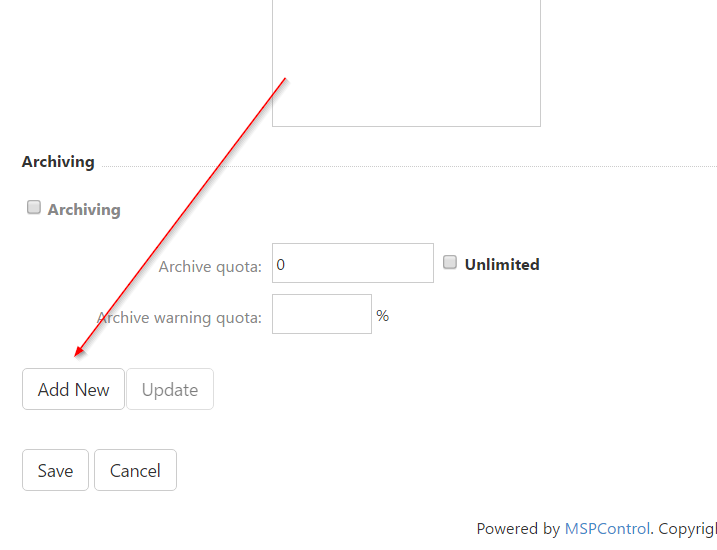 Setup quotas according your requirements and click Add New button. 2. Hosted Organization Mailbox plan. 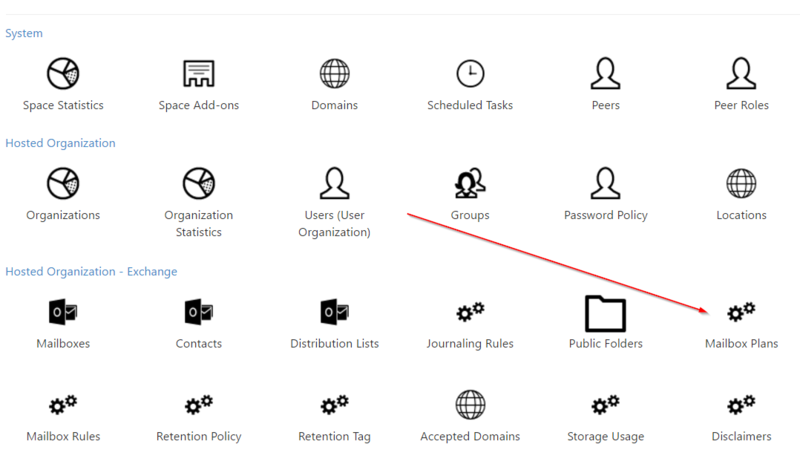 This kind of mailbox plan will be visible only for one hosted organization. 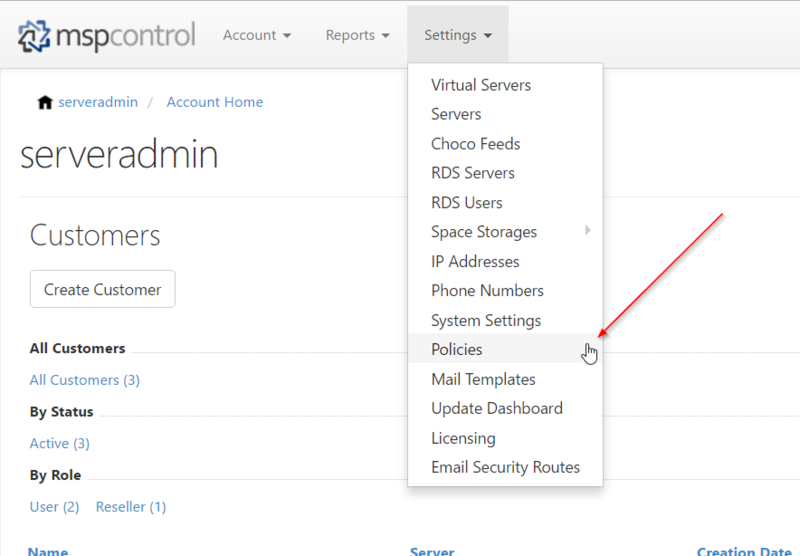 Give mailbox plan a name, select quotas and click Add button at the bottom of the page. Done, your mailbox plan will appear in list. Now you can use it for mailbox creation.